It seems that the formation of an IP address, consisting of four bytes, gives us permutations numbering approximately four billion and IANA, the Internet Assigned Numbers Authority, handed out the last lot of addresses; there are no more. When you think about it; this seems inevitable. After all, this year, sometime in the Fall, we are supposedly going to cross the seven billion mark in world population. (see Planet Earth: 7 billion people in 2011 : videos) Estimates say that there are nearly 2 billion Internet users world-wide. However, those wise folks who keep things ticking and humming had a plan years ago realising that sooner or later, the world would use up its allotment of IP's. As an aside, I had to laugh when I first heard about running out of IP addresses thinking back on the Y2K scare. At the time, I read that those who had made computer systems back in the 1970's never imagined that their systems would still be running in 1999 so never felt the necessity to build their systems to handle dates with four digits. You have to chuckle but you also have to reflect. Sometimes our solutions are nothing more than quick fixes - duct taping it together - in order to get something to work only to discover our lack of proper planning and execution leads to us to having to tear something apart to correct our short-sightedness. But what the hey, why should I care? I'm not going to be here for Y-ten-K when dates become five digits. That is 10 to the 36th power which apparently is called a "undecillion". A video I saw claims that this number is larger than all the grains of sand on the Earth. Okay, that is so large I don't know what it means. Today's test means that from midnight UTC on June 8 (Tuesday afternoon in the U.S., Wednesday morning in Asia) for 24 hours, all the major players of the world will be offering their services using IPv6. As of this writing, Wednesday morning at 7:30am EDT (Eastern Daylight Time), it means everything has been working just tickety boo since 8pm EDT Tuesday so for me, the user, there has been no disruptions of service. Hey, what better sign for a successful test than users not noticing anything? While the various news outlets are running articles about this day of tests, many journalists are adding the tagline "Ho-hum" or "Who cares?" as for the most part, none of us regular folk are going to be in any way affected by this test. It is really up to the major players to be working the kinks out of the various pieces of equipment which will be handling IPv6 and for years to come, any of these systems will have to be backwards compatible with IPv4 so it's not like any day soon we'll all be obliged to throw out our old routers to be able to work with IPv6. Besides, it is well known that there are a lot of unused IP addresses floating around. If the world can figure out a better system of allotment, we still have a ways to go before all IP addresses are truly being used. Okay, that's my short article on World IPv6 Day, a non event for 99% of the world. Now that it's out of the way, I can turn my attention to more pressing matters. *I look at the time. It's 7:43am* Hey, how about a second cup of coffee? World IPv6 Day is an event sponsored and organized by the Internet Society and several large content providers to test public IPv6 deployment. It will start 00:00 UTC on June 8, 2011 and end 23:59 the same day. The main motivation for the event is to evaluate the real world effects of the IPv6 brokenness seen by various synthetic tests. 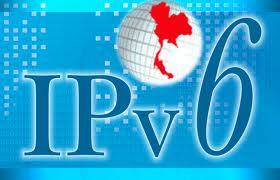 On World IPv6 Day, major web companies and other industry players will come together to enable IPv6 on their main websites for 24 hours.The goal is to motivate organizations across the industry – Internet service providers, hardware makers, operating system vendors and web companies – to prepare their services for IPv6 to ensure a successful transition as IPv4 address space runs out. The test will primarily consist of websites publishing AAAA records, allowing IPv6 capable hosts to connect using IPv6. Although Internet service providers (ISP) are encouraged to participate, they are not expected to deploy anything on that day, just increase their readiness to handle support issues. Many companies and organisations have committed to participating in the experiment, including the largest search engines, social networking websites and content distribution networks. World IPv6 Day begins 24 hours from now. Websites, start your engines. About 24 hours from now, at midnight UTC on June 8 (Tuesday afternoon in the U.S., Wednesday morning in Asia), all the participants will enable IPv6 on their main websites for 24 hours. For Google, this will mean virtually all our services, including Search, Gmail, YouTube and many more, will be available over IPv6. Am I ready for World IPv6 Day? Yes. This web browser (at this location) looks safe. You'll just keep using IPv4.